HONOLULU, Oct. 24, 2018 /PRNewswire/ -- Alexander & Baldwin (NYSE: ALEX) (A&B or Company) has named Alexina Chai as senior vice president, human resources, effective Oct. 22. Chai has extensive experience in organizational development, human resource management and business transformation. 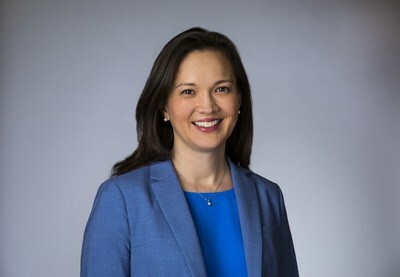 She comes to A&B from UnitedHealth Group, where she served as senior director of business and clinical strategy and as senior director, human capital business partner. She also served as senior vice president, human resources director for American Savings Bank. Prior to that, Chai held human resources and managerial positions with American Express, The St. Paul Travelers, Inc. and Aon Hewitt. Chai earned a bachelor's degree in psychology at Carleton College, a master's in organizational psychology at Columbia University and a mini-master's certificate in human capital management from the University of St. Thomas. She serves on the boards of the Women's Fund of Hawaii and Montessori Community School (Manoa). She is a member of the Society for Human Resource Management, the American Society for Training & Development and Menttium, a professional women's mentoring and development organization. "A&B has changed dramatically in recent years as we have shifted our focus to Hawaii and to commercial real estate. As we evolve our culture to meet the needs of our changing competitive landscape and employee base, Alexina's expertise and background will help us tremendously," said Chris Benjamin, A&B president and CEO. Alexander & Baldwin, Inc. is Hawai'i's premier commercial real estate company and the state's foremost owner of grocery-anchored retail centers. With a portfolio of approximately 87,000 acres in Hawai'i, A&B is the state's fourth largest private landowner. A&B is a fully integrated real estate investment trust and owns, operates and manages 3.4 million square feet of primarily retail and industrial space in Hawai'i. A&B's interests extend beyond commercial real estate into diversified agriculture, renewable energy, and land stewardship. A&B also is Hawai'i's largest construction materials company and paving contractor. Over its nearly 150-year history, A&B has evolved with the state's economy and played a lead role in the development of the agricultural, transportation, tourism, construction and real estate industries. Learn more about A&B at www.alexanderbaldwin.com.